Whenever people ask me what my favorite animated film is, Dumbo usually pops up with great characters, wonderful songs, terrific animation and very touching emotions. Then someone says "and the pink elephant scene is the best"! What? For some crazy reason, animation aficionados love the"Pink Elephants on Parade" sequence. I must have seen the film 8 or 9 times and I still marvel at how bad that sequence is for me. You've got to realize all the Disney animation were terrific draughtsmen and were expert at drawing animals. So why do these elephants look like they were drawn by high school kids? And just cause they used bright colors and superimpositions, it's supposed to be "psychedelic". Maybe my esteemed partner in this blog saw the film while stoned on mushroom and that's why he likes the scene. But for me there's no originality. They could have taken the nightmarish visuals a lot further, have a lot more surrealism rather than just brightly colored, badly drawn elephants walking in unison. 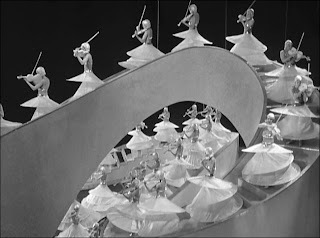 Look at the Busby Berkeley film, there's some real imagination and style! 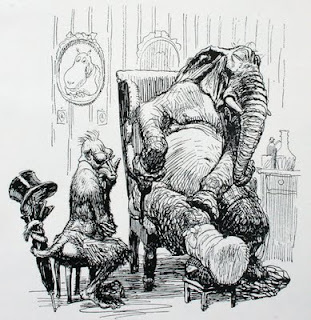 Also, look at Winsor McCay or Heinrich Kley, if you want to see how to draw an elephant. For me , the pink elephants is the weakest point in Dumbo. What do you think? Busby Berkeley's "Gold Diggers of 1933"
oh, Bill. Now you've got me doing nothing all day but watching Berkeley clips. <3 loooove them. I agree, I never liked that scene, especially when I was a kid. Not because it scared me, but because I simply found that it didn't coincide with the rest of the film that I loved. They should have put all that time and energy in furthering the masterpiece they already had. I like the pink elephants but my favourite clip from the film is the crows teaching dumbo to fly. bill you're retarded. that sequence is the BEST! prepare to be crucified. I think a lot of people this its the "best" because you rarely see the "terrific expert draughtsmen" at Disney actuall draw like that. (despite whether or not it looks like a highschool student did it) So .... in that sense (that it`s a sudden different style plopped into one of their major films)it`s still kinda cool though. For me the scene is a bit long. Some good editing would have made it better. I have to say the elephant made up of heads was freaky. Always loved the scene, especially when I wanted the world to look like Yellow Submarine. My feeling back then was that some of the artists still had a Fantasia hangover, and wanted to go all abstract.
. . . and then of course there's Heffalumps and Woozles. . . I can't say I dislike the pink elephant scene, Bill- but I do agree that the contours of the elephants are sophomoric, droopy, maybe even ugly. The bits where they are lit from below and skating over a smooth surface about 3 minutes in- that look saves the whole thing for me. Almost metallic. Pretty gorgeous stuff. But I do agree: Windsor McKay is amazing. I love the Pink elephant sequence. It's a satire of their own work in "Fantasia". The thing about it that bothers me is that it's built on that absurd film cliche that one sip of alcohol would trigger uncontrolled hallucinations. That and the hiccuping drunk have got to be the tiredest jokes in filmdom. In 30 years of drinking I have never seen a drunk do even one "hic". It's my favorite part of the film. When I was a kid, I anxiously awaited the "elephant dream". I've grown tired of the rest, with its overwhelmingly depressing Disney sentimentality. These days, I only watch the pink elephant sequence. Dumbo is full of little bits of contrasts. If Pink Elephants seems out of place, the raising of the tent in the storm and the clowns singing about asking the big boss for a raise probably also seem out of place. Personally, I like the parts in Disney films that don't hammer home the story. Three Caballeros is the best of all with no plot at all (except for the shorts stuck in to fill out the running time.) Sure those marching cactuses are tasteless and a bit phallic. That's why I like 'em! I'm still new to animation and have just graduated ever so recently, so I'm not sure how valid my opinion is, but I agree with Bill in some respects. The scene to me feels more about process and technicality rather than projecting a sense of intoxication by alcohol maybe to deter kids from drinking. It could be my age that is informing me of this perspective. Nostalgia aside, the techniques they used to create some of the effects is probably to me what makes it impressive, but I just don't get a sense of the connection between what I am seeing and what occurred before this scene. I also don't feel anything whilst watching it, no dread no fear, but this could be that I'm noticing the animation and its process more than the actual content of what it is saying - animators eye etc. To a child it probably feels crazy and shocking to the eye because of the dancing elephants and bright colours - but it in fact it looks like a whole lot of fun to drink if this is what happens. Sadly the reality is quite different. I love all of Dumbo, although the scene where Timothy convinces the sleeping ringmaster to make an elephant pyramid drags quite a bit (many of you probably don't even remember it). But Pink Elephants is my favorite, perhaps my favorite bit of animation ever. Yes the elephants are not structurally sound, that's the point, it's a fantasy. Jimminy Cricket doesn't really look like a cricket, either. I love the sequence because it does what animation can do best, lets the imagination run free. I want more of that. I was never a big fan of this sequence either. It just doesn't 'feel' right in this kind of film. While I do agree with you regarding the spontaneity of it, and the idea that it seemed rather out of place within the film (besides the fact that it was basically over-emphasizing the effects of liquor), I never had a problem with it. In fact, I was marvelled by it at a young age and found it to be quite imaginative. There were elements of it -- namely the colors, the unsettling score, and the animation itself -- that captivated me in an almost hypnotic way and it is the surrealism of the piece that drew me into it. Perhaps I was just more accepting of things when I was a kid (obviously), but I still do love the sequence. To me "Baby of Mine" was the films absolute pinnacle. Every jumps on the pink elephants band wagon but the scene with Dumbo and his mother took superb acting. I love the "Pink Elephants on Parade" sequence from Dumbo. It's nice to see the Disney studio cut loose once in a while; usually the studio's animation was pretty staid. 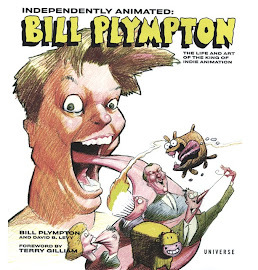 The drawings aren't amateurish as Mr. Plympton implies, but simple, elegant and graphic -- in fact, it seems to hint at the style UPA would use in the post war years. I prefer cartoon exaggeration over "realism" in animation. (It's the reason why I hate so many of the Disney features from the 50's, with their nearly rotoscoped human heroines.) The Kley drawings would be too literal a representation of an elephant for the hallucination sequence. It would have made the scene too dull and restricted. I am sorry but I do fail to see what is so horrid about this sequence and particularly the drawings of the elephants; It's a rather delicious surprise to a exceptionally fine film grounded in a basis of "Disney" reality. Perusing this sequence again the most humorous aspect of it is when Dumbo awe of the pink elephants circling him; The change of expressions is just damn funny. Mmmm.... I wouldn't say I *hate* the pink elephant sequence, but like other commentators have posted, I find that it, like a lot of "surreal" sequences, suffers from being cliche. Or "Weird for the sake of being weird"... which isn't all bad! What I like most about the sequence is how mesmerizing it is. It's like those marching hammers in The Wall. Sometimes I'm just captivated with the movement itself like probably most of us are. I'd say, while it doesn't add a lot to the plot, it is a nice break from a very emotional film. With all its silliness, you come back into the movie with a fresh breath. If there's more pain that little elephant has to go through, you can suddenly bear to watch it. You are a crazy man! Wat'up doc? One second of this sequence is light years from yours silly toons! I saw Dumbo in the theater when I was very tiny. That scene traumatized me. Years later, the effects remained -but- I could not recall where I'd seen it. I never considered Dumbo; because, it is so incongruous with the rest of the movie. One day, a few years back, I was flipping through a coffee table book of Disney cells -and- it hit me like a brick! maybe the animation style had something to do with the disney strikes of the time and the way that Disney used scab labour to work on Dumbo. 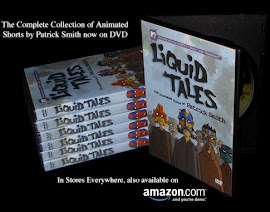 I agree with other posts about the animation style being similar to that used by UPA later and I think that it can be put down to the fact that Hubley (see gerald mcboing boing shorts on you-tube (they aren't the best quality) and make sure that its not the tv series) was still working for Disney at the time. Maybe (and this is only speculation) what happened was that the pink elephants scene was in some kind of draft stage and that due to strike action other less experienced animators were forced to finish the scene for the finished film or it could be a throw back to fantasia as others have implied. I have to say, having watching that scene for the first time since I was a kid, that is a troubling scene. the Camelephant really bothered me. I think there's something about the elephant that isn't really an elephant (through the whole thing) that gets you. you know by the parody of the elephant that it's an elephant...but it's off. like way off. Dumbo, clearly, doesn't look like Real Elephants...but the Pink Elephants REALLY don't look like real elephants. In my opinion, the pink elephants are troubling figures out of a hellscape of color. Bill's so wrong..Pink Elephants is AMAZING!